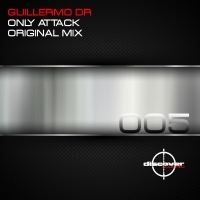 Guillermo Dominguez, aka Guillermo DR is the new talent mexican, its origins were with trance & tech trance music in 2005 when these genres sounded strong. Gradually Guillermo was deep into the world of electronic music, discovering different genereos as house, minimal and techno. This is how these wonderful genres caught his attention, which led to start experimenting with sounds and to start to produce their own music, their own style. In 2013 Guillermo experimenting with strong acids, dry sounds, giving apso to start creating minimal tech, which until 2015 led him to sign his first ep, this under the name of Groove System, with which was bringing and studied his aggressive style on the beats. After that Guillermo went to work and listen for 8 months dark sounds you see that fresh, tasted by the house, this is how in 2015 shows after experimenting with new sounds a different style, her first single under Rhombus Digital Records which focuses more on tech-house sounds fresh and fun bases. Guillermo comfortable with this genre because he likes the freshness and joy with which this style is handled. Currently Guillermo has been introduced into the world of techno which takes you back a little to his first productions but with a darker, deep, aggressive, firm and strong style expressed in very good shape. inspired by producers like Andres Blows, Mladen Tomic, Hollen, The YellowHeads, Angy Kore, Hackler & Kuch, Niereich, Spartaque, Eric Sneo. He always says he makes music as a listener more, a person, he makes the music you like to hear, what he likes to dance and enjoy. You always have to take the side of the public and in a presentation always give the best, the best choice because they are the ones who give life to dj, producer, they are the ultimate judges, who decide if your music is good . I suggest that you be expecting that already has slowly grown, it is a talent that is strong with a style that only knows how to put it. Gradually you listen to him and you'll know who it is ! !